Gala-dress by William Sweetlove – a wedding gift from the City of Borås to The Duchess of Västergötland, Her Royal Highness Crown Princess Victoria and her husband-to-be, Mr Daniel Westling. 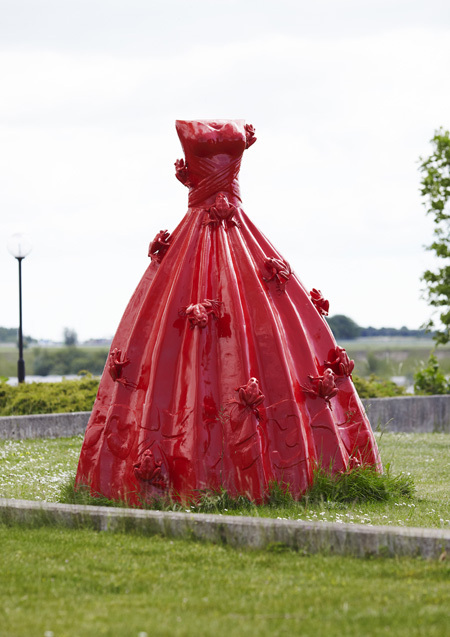 The City of Borås will dedicate the “Cloned Frogs on Gala-dress” by the Belgian artist William Sweetlove to the royal couple who are to be married on June 19th in Stockholm. The sculpture was purchased from Galleri GKM for the Borås International Sculpture Festival 2010.